We can maintain our pool cheaper! Even a small above gound pool, once you’ve bought pumps and equipment is going to cost a few thousand dollars. Start putting that in the ground and you’re talking tens of thousands. 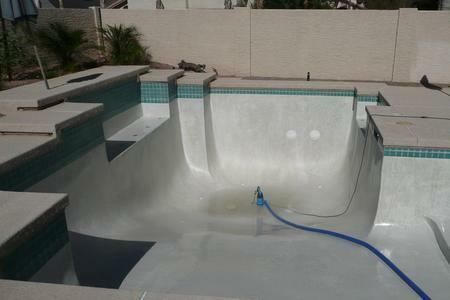 So why would you risk the quality and use of this large investment by trying to save a few dollars on quality pool care? Many prospective clients ask us this very question. “Why should we pay youto put chemicals in the pool and take its level, when we can do it so much cheaper?” And it’s a great question! And there’s a simple answer. Pool maintenance and servicing isn’t a one solution fits all. What do you do if you see green algae? Or black algae, or mustard algae. How about pink slime or water mold? Wouldn’t you rather be swimming in a clean pool rather than trying to figure out how to make it clean? Maintaining the right balance of chemicals, maintaining expensive filtration and pump equipment, and looking after your actual pool are just some of the jobs your qualified pool techicians from Pool Butler take care of. ©2019 Pool Butler Of Arizona | All Rights Reserved.